Teng TMSE05S 5pc Screw Extractor Set features 5 extractors that allow for the quick and easy extraction of broken screws, pipes and stud bolts. 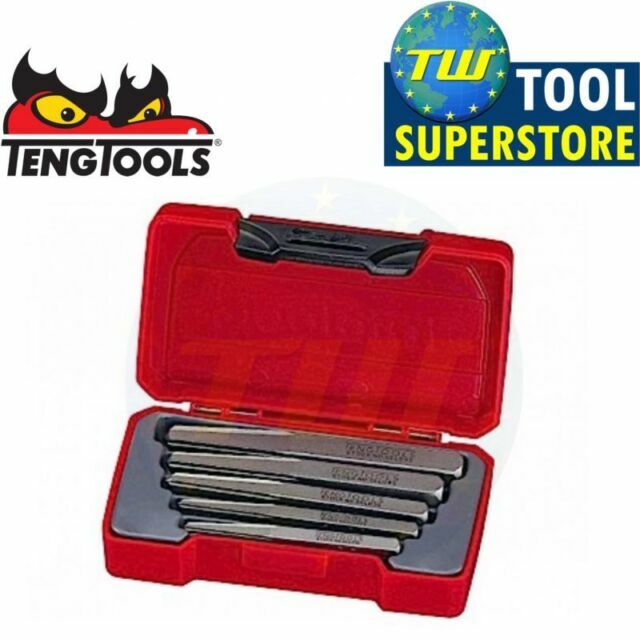 Teng Tools Screw Extraction Set. Hardened to HRC 50-52. Screw extractor tool failed to work on snapped wheel nut.Teng tool took it out in seconds.As long as drilling is right centered it should work perfectly.Worked for me ,perfect. If you compare the look of Teng Tools to normal stud extractors they don't look that aggressive, but I was well suprised how they done the job, I can only highly recommend them to anyone.